Since the Royal pregnancy announcement was made,the world has been longing to know more! Is Kate Middleton having twins? Will the monarchs be welcoming more than one adorable royal baby? The rumour mill has been churning and it seems the much awaited answer will soon be upon us. 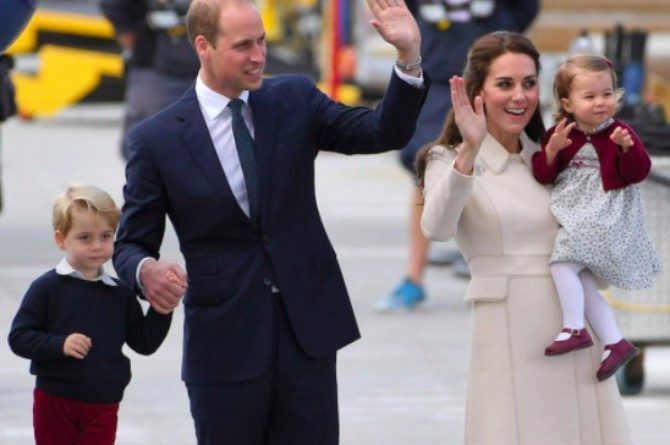 Are Prince William and Kate Middleton having twins? While we have no confirmation from Kensington Palace as of this writing, various sources have claimed that Kate Middleton having twins is more than just a rumour. According to Life & Style magazine, a source close to the royal family supposedly revelaed that Kate is pregnant with identical twin girls. They even claimed that the 36-year-old royal has shared the sonogram with her close family and friends. Bur Royal twin pregnancy rumours are nothing new. Back in 2012, sources predicted that she could be carrying twins because she was experiencing extreme morning sickness or hyperemesis gravidarum. What’s more, one of the magazine’s sources claimed that William and Kate intend to honour the late Princess Diana by naming one of the twin princesses after her. At the Centrepoint Awards, he hosted on 8 February at Kensington Palace, Prince William told one of the guests, Raymond Stoner of Anston Properties, that since baby no. 3 is due in April, he’s getting as much sleep as he can in anticipation of their new baby’s arrival. “Twins? I think my mental health would be tested with twins,” replied the 35-year-old Royal. The Duchess of Cambridge is due to give birth in April 2018, a month before Prince Harry and Meghan Markle are slated to tie the knot. But aside for her due date, not many details have been released about the much anticipated birth. As of this writing, the Duchess has returned home to England following a royal visit to Norway. We have no doubt that regardless of their baby’s gender, or whether they’re expecting twins or not, they will happy to welcome a new addition to their growing family!